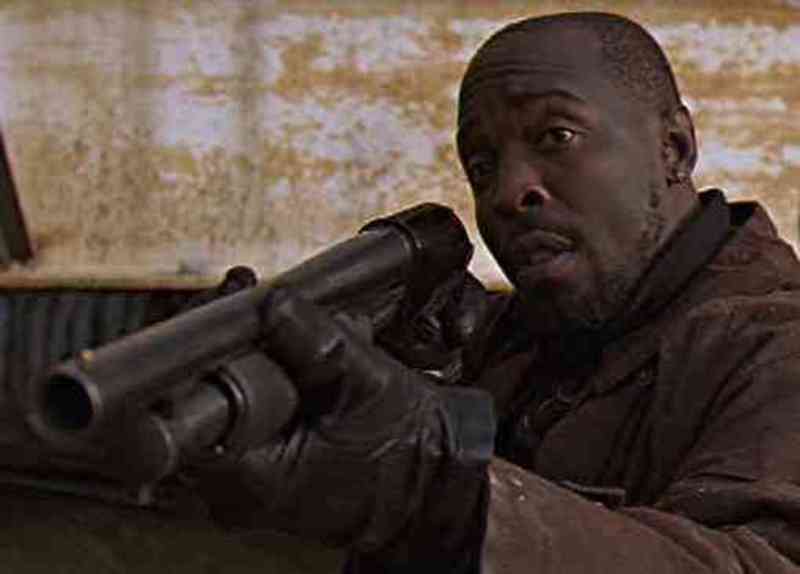 David Simon: Damn right Omar is cool. Get over it. I do have a certain amused contempt for the number of people who walk sideways into the thing and act like they were there all along. It's selling more DVDs now than when it was on the air. But I'm indifferent to who thinks Omar is really cool now, or that this is the best scene or this is the best season. It was conceived of as a whole, and we did it as a whole. For people to be picking it apart now like it's a deck of cards or like they were there the whole time or they understood it the whole time -- it's wearying. Because no one was there in the beginning, or the middle, or even at the end. Our numbers continued to decline from Season 2 on. * -- David Simon, creator of "The Wire," "Generation Kill," "Treme"
I've heard some very good film critics make this argument before, too. Of course, a movie has a beginning, a middle and an end (although, as Jean-Luc Godard reminded us, not necessarily in that order). That's the fabled "three-act structure" all the screenplay manuals talk about. Wim Wenders and other great directors have observed that they always make at least two movies: the one they set out to make and the one they discover while they're trying to make the first one. Same goes for watching a movie or TV series: there's always the show you watch when its destination is unknown, and the one you reconsider after you know how it ended up. The difference, of course, is that feature-length motion pictures are generally experienced in one continuous sitting (OK, maybe there's an intermission if it's a roadshow picture -- oh, they don't make those anymore...). Television series -- unless they're designed for a limited number of episodes like the British "The Office" or "Fawlty Towers" or Simon's "Generation Kill" -- are generally open-ended until, at some point, they're either cancelled or the makers decide to call it quits. Yes, J.J. Abrams and Damon Lindelof claimed they sketched out the overall story of "Lost" at the very beginning, but: a) nobody knew how long the show would run; and b) they lied. (If all that latter-season stuff with Jacob and the tacky water feature had been proposed at the beginning, I doubt the show would ever have been greenlighted.) A television series is experienced over time -- weeks, months, years -- unless you discover it on disc or on demand and scarf down huge chunks all at once. It's silly (and Simon surely knows this) to suggest that viewers, including critics, should withhold opinions or refrain from discussion until the entire work is complete. Life (and television) obviously doesn't work that way. I'm going to have to revise the phrasing, obviously, but that's the way I perceive the best series (which these days tend to be on cable networks, basic or premium: "The Sopranos," "Deadwood" and "The Wire" have been followed by "Louie," "Justified," and a few I have more mixed feelings about, like "Breaking Bad," "The Walking Dead" and "American Horror Story"; I've yet to get into "Boardwalk Empire," "Game of Thrones," "Sons of Anarchy"...). The third hour of "Mad Men" this year ("Tea Leaves") confirmed and clarified some things I'd been mulling over about the first episode ("A Little Kiss"). And, yes, I've been making notes and eagerly discussing it with friends and fellow critics (quite a few of whom are both). When people talk about "Twin Peaks," which was supposed to keep going after the killer of Laura Palmer was revealed, they tend to think of the first season and the first few episodes of the second season as the real "first series" -- the stuff with the Black Lodge and the feature "Twin Peaks: Fire Walk With Me" as adjuncts. But the tremendous fun of that show was all the clues (from "Laura," "Vertigo" and elsewhere) -- even when they were red herrings (and most were) that led you to wonder about the possibilities. Imagining those alternatives is part of what a good mystery (or any good series) is about. For me, "Lost" was never as good as the first season, when none of the mysteries had been explained and all kinds of possible scenarios could be considered. Attentive viewers of a movie or a TV series should never forget what they experienced the first time they saw it, before they knew where it ended up. What you felt, what you wondered, what you surmised (even if you were later proved wrong) are essential to the experience. Tree of Life: The missing link discovered!